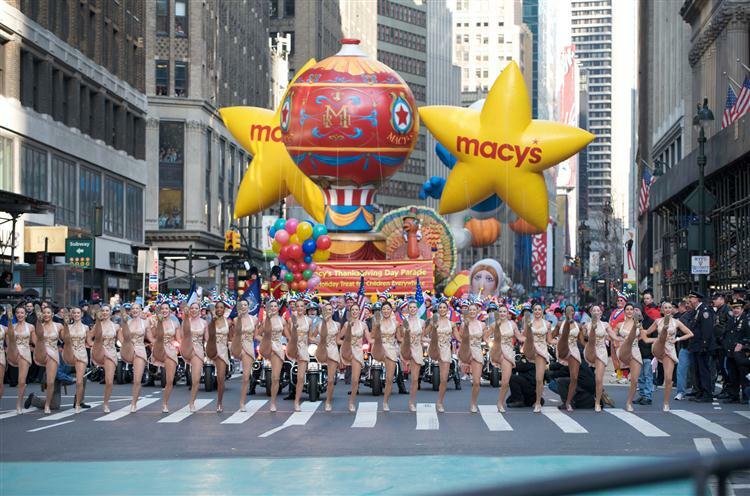 Join us at the Macy's Thanksgiving Day Parade, a tradition that celebrates America and calls forth the Christmas Season. First appearing in 1927, the Macy's signature larger-than-life helium character balloons will proudly take flight in the skies high above NYC in the Annual Macy's Thanksgiving Day Parade. See an impressive array of marching bands, floats, celebrity performers and the long-awaited arrival of Santa Claus. Balloons are inflated on the day before the parade. Pick up & Drop off is 8th Avenue between 49th-51st Streets. We do not suggest viewing from 6th Ave between 34th & 38th Streets or in front of Macy's Herald Square. Space is very limited due to the national television broadcast. NO LAWNCHAIRS ALLOWED. Stand only event. Celebrate Thanksgiving Day in the Big Apple and be home in time for dinner! Trip goes Rain or Shine!